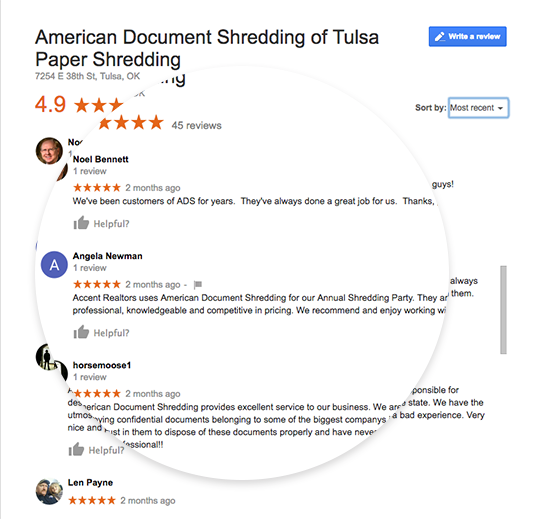 American Document Shredding was founded in 2005 by Kelly Herneisen. He decided to start the paper shredding company in order to provide a safe and secure service to high-profile banks, hospitals, law firms, and local government organizations that needed reliable shredding services. With American Document Shredding, you can rest assured that your services will be completed on time – guaranteed. Excellence in customer service is a focus, reliable service is a promise. & believe in getting the job done.